1/2 an hour but totally worth it. 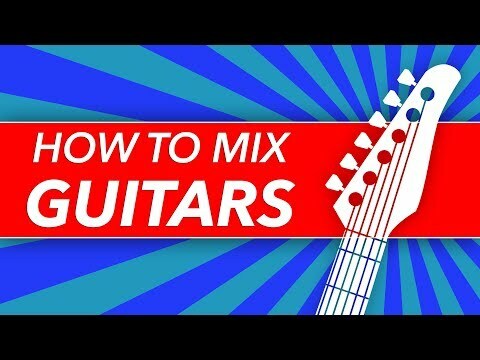 This video is focused on guitars, but the principles in it work for everything. What I like about this vid is that it explains not only how, but WHY. I like the vegatables analogy! He does do a good job of explaining how and why. The vid showed me that if you train your ears it makes a huge difference to you mix. Ya this was really good! This is great and thanks for sharing, but my god he knows how to labour a point. The whole video could have literally been 3 minutes long! Great video, thanks! Makes me start thinking about getting ProQ2. Any suggestions for a good standalone delay with a lot of presets? The Bram Bos Kozmonaut app is a multi-tap Delay with a lot of presets. It can sound like a huge reverb effect or a slow running 4 head tape looping machine. Nice sound engine that doesn't over-color the results. 4Pockets makes a MultiTap Delay App but only provides around 10 presets. It's also a very transparent "echo device" that can be configured to sound like a "chorus" effect. Almost any echo unit that allows for short echo settings can be configured to simulate a reverb unit. Kai Ara's has a tape delay product that intentionally colors the sound with tape saturation. With delay and reverb, you often want to sync it to your host bpm - it will sit in the mix better. If you're going for an effect to stand out from the mix, don't sync it. When "dialing in" a delay, try starting with no regen or feedback and only use the % mix and the time. Get that sounding good and then try using the regen/feedback to see how it sound to you. Finally, also for a more natural sound and reverb/delays that will sit better in the mix, try rolling off (cutting) the low end and highest end from the sound before it hits the reverb or delay. Reverb and delay plugins or apps that have LP, HP and pre-delay settings are more convenient to use and can save CPU % by using only one thing instead of a chain.